Physiotherapy is an integral part of our health care system. Physiotherapists (PT) are regulated health care professionals governed by The College of Physiotherapist of Ontario (CPO). They are highly trained and skilled at assessing mechanical and neurological injuries, and identifying the root cause of a person’s pain and dysfunction. PT’s employ a specific array of treatment options for each patient that may involve Manual Therapy, Exercise Prescription, Therapeutic Modalities and Injury Education/Prevention. Why Are We The Best Physiotherapist in Toronto? At Matrix Physiotherapy Toronto, we are in the business of helping people reach their maximum potential. From acute injury to chronic ailments, we strongly believe each individual deserves the best possible rehabilitation for his or her problem, and this has become one of the reasons why we are a leader in physiotherapy in Toronto. Our difference is in the way we make individual attention and professional service the cornerstone of our approach to best provide you with the treatment and education you need to build, as well as maintain, a strong and healthy lifestyle. Our comprehensive method of care integrates orthopedic manual therapy with a holistic approach to achieve long-term wellness. With additional specialties in massage and heat treatment, our unique perspective is sought out by a wide spectrum of patients, including those recovering from acute injury, those managing chronic conditions, and those seeking improved physical performance. Our mission statement is always to help each patient achieve well-being and optimal health through personalized, quality care. Care at Matrix Physiotherapy Toronto is grounded in orthopedic manual physical therapy, the art and science of utilizing the highly skilled, specific hands-on techniques to diagnose and treat musculoskeletal injuries. This hands-on approach is also applied to post-operative care and rehabilitation. Our treatment sessions are all one-on-one with a skilled physiotherapist so each patient is treated individually and holistically. As part of treatment, patients are guided in performing detailed therapeutic exercises that are customized to meet their goals with physical therapy. Motor control, pattern of recruitment, and timing of recruitment are all paid special attention in order to retrain and rebalance movement patterns that often produce pain and disability. Therapeutic exercises are designed to improve strength, stabilization, range-of-motion, balance, and overall elite level functional performance. We are not only results-oriented, but also aim to make your entire rehabilitation experience with us as comfortable and enjoyable as it can be all throughout. From your first encounter with our friendly, helpful reception to your appointments with our practitioners, each and every member of our professional Toronto Physiotherapy team is dedicated to making your experience with us a pleasant one. In addition to maintaining industry credentials, our dedication to continuing education ensures our professionals remain educated on the most cutting edge techniques and developments in the field of physiotherapy. If you’re visiting us, you might already understand some of the benefits of seeking our services. A physiotherapist can help treat bodily ailments or disability through physical intervention in a way that may reduce the use of drugs and surgery. Our physiotherapists may work closely with your physician to evaluate your current condition and provide a comprehensive and custom regiment of exercises to achieve a variety of results—including the alleviation of pain and improved physical mobility. Physical therapy can also involve heat treatment and massage and is often recommended post-operatively or following the removal of orthopedic casts in order to help the individual regain mobility, balance, posture, coordination, muscular strength, or endurance. Choosing Matrix Physiotherapy, one of the top physiotherapy clinics in Toronto, can help ensure that you receive the best care and treatment to speed the progress of your treatment. Addressing the root cause of every pain/ailment is the foundation physiotherapy treatments are based on at Matrix. Our expertise and services are always within Reach. Conveniently located in the heart of the financial district in Toronto, our clinic can be found in the Thompson Building, which provides direct access to the Toronto underground PATH system. Attending one of our appointments is an easy walk away underground, even during harsh winter seasons or wet rainy days. Physiotherapist and Massage therapist are both regulated health professionals who often treat various musculoskeletal conditions and disorders in similar patient populations. Both are beneficial health disciplines dedicated to helping people relieve pain, improve movement and regain normal function. Many people have seek or have a good understanding of what a massage therapy session entails. However a vast number of people even in a Metropolitan city like Toronto may not have a clear understanding of the role Physiotherapy. At Matrix Physiotherapy Toronto , we offer both Physiotherapy and Massage Therapy services. Massage Therapy is a highly effective treatment option to relief pain, to decrease muscle tension and even for general relaxation. In conjunction or in addition to massage therapy, Physiotherapy can help you improve joint range of motion, muscular strength, balance & proprioception, neuromuscular patterns of movement, cardiovascular function and regain specific skills required for Return to Work or Return to Sport. Matrix Physiotherapy is the cornerstone of Toronto ‘s rehabilitative Services. Come in to our clinic at Toronto ‘s Financial District and benefit from the expertise of one of our Physiotherapists. We want to work together with you to get you back to doing the things you love Toronto !!! Can Physiotherapy help with neck or back pain/issues? There are many causes of neck and back pain and they are often due to mechanical issues which can corrected through postural retraining, education & awareness on support and load reduction, and simple ergonomic changes. In physiotherapy, a trained physiotherapist can help you identify the cause of your pain and dysfunction and guide you through the modifications you need to carry out along with instructing you on the proper exercises to perform. At Matrix Physiotherapy Toronto, our physiotherapist has over 13 years of experience working with people of all ages and fitness levels to achieve health back health. Our physiotherapist will communicate with your doctor if needed to rule out more serious or chronic problems associated with your back. Even with more serious pathologies, such as spinal disc bulge/herniations, the physiotherapist at Matrix Physiotherapy Toronto will guide you through a comprehensive plan of clinic-based therapy, home exercises and movements/positions to avoid or minimize. 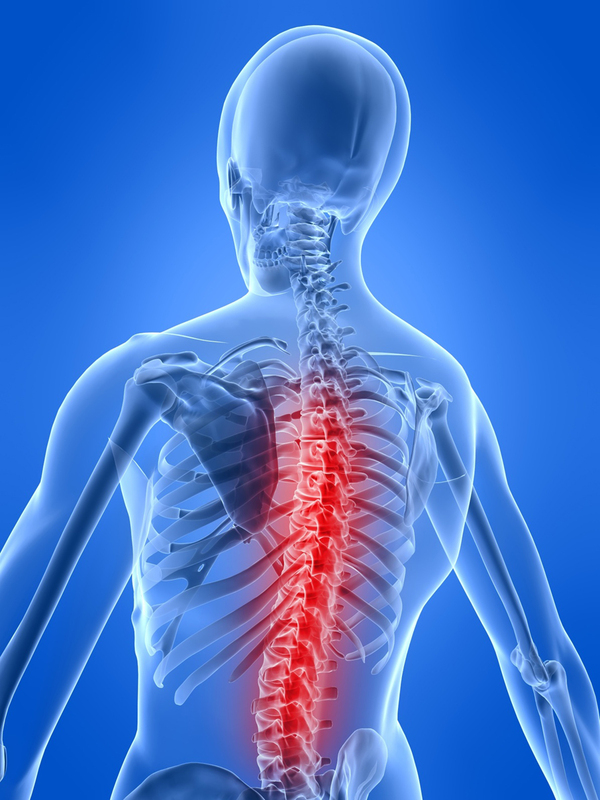 Physiotherapy for back health is about more than pain relief or temporary adjustments. We will show you how you can be involved in assisting your own recovery through simple changes and exercises in your daily routines. Conservative treatment through a non-invasive treatment option such as Physiotherapy should always be explored prior to more invasive options such as surgery or localized injections. The Physiotherapist at Matrix Physiotherapy Toronto are ready to help you regain a Health Back. Book your Appointment Today. Our experienced physiotherapists deliver expert hands-on techniques as part of every patient’s treatment regime. This may involve the correction soft tissue abnormalities such as releasing tightened musculature, stretching shortened tendons/ligaments, or breaking post-operative scar tissue formation. Other techniques involve manual mobilization or manipulation (if required) of stiff joints which have loss normal mobility from lack of use or a period of immobilization such as joint casting. Specific techniques can also be employed to treat nerve related disorders. Patients are always actively involved at every stage of recovery through specific clinic or home based exercises. The goals of the exercise programs are to restore Joint range of motion and muscle flexibility, regain functional strength & stamina, or to enhance activity or sport-specific movement patterns or skills. We wish to empower the patients to return to their active lifestyle safely and to their pre-injury level of performance. Certain supplementary treatment agents may be used as part of the treatment program such as Heat/Cold, Interferential Current (IFC), Transcutaneous Electrical Neuromuscular Stimulation (TENS), Neuromuscular Electrical Stimulation (NMES), Therapeutic Ultrasound or Acupuncture. These modalities can aid in pain management, control inflammation/swelling, improve circulation, break scar tissue and promote damaged tissue repair. Our physiotherapist will ensure that each patient fully understands their injury or impairment throughout the rehab process. We feel that through understanding and awareness, patients become more engaged in their own recovery. It is also important for patients to know their physical limitations and the activities to avoid so that recovery is not delayed. Postural awareness and proper home/workspace ergonomics are often important factors to address as part of the rehab process.